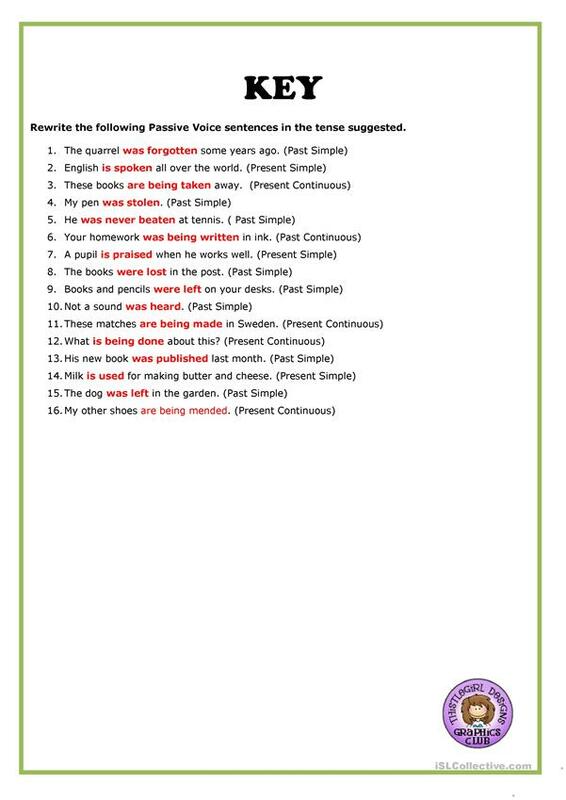 A worksheet to practise the passive voice. Key is included.Thank you. The above downloadable teaching material was created for business/professional students, high school students and adults at Intermediate (B1) and Upper-intermediate (B2) level. 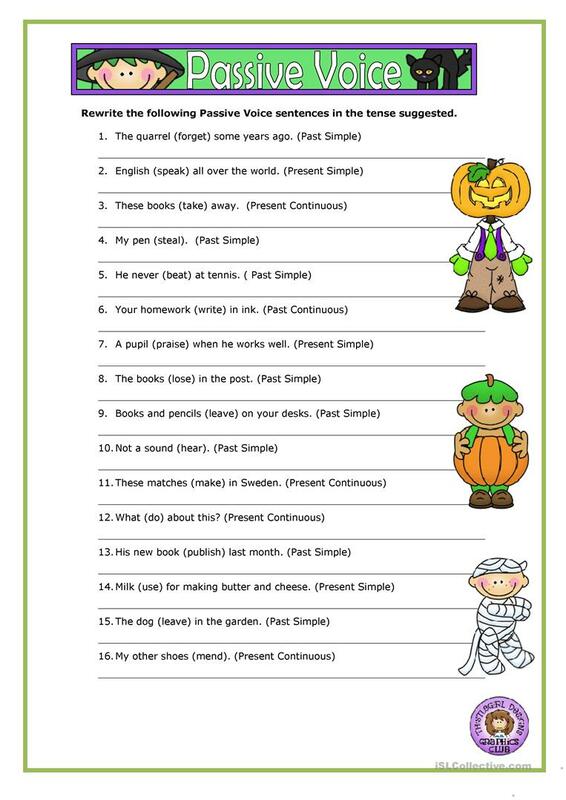 It is aimed at revising Passive voice or active voice in English, and was designed for strengthening your learners' Spelling, Reading and Writing skills. The solutions are provided, too.